Brainspace Magazine This is one of the most effective, unique and interactive ways we know of to teach STEM to kids 8-12! Just download the free blippar app and your child or student immediately sees the Brainspace print magazine in augmented reality. Kids are mesmerized and highly motivated to read, watch and learn new STEM concepts nearly instantly. Our parent and teacher choice awards team is literally enthralled with the Brainspace Magazine! If you do not already have this at home or in your classroom, you will want to get it now. It transforms traditional instruction into a personalized and meaningful experience for every child. 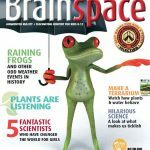 Brainspace Magazine covers the full range of instructional methodologies, asks significant questions, guides kids into critical and creative higher order thinking, embeds fun and inspired engagement into every lesson. What an extraordinary way to learn STEM! 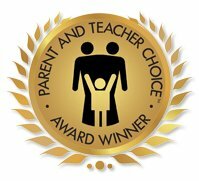 You worked very hard to make your product one that makes a difference in children’s lives so share it with over 2 M visitors.